Feeling like a pro-chef today? You know, that gung-ho spirit in your puffed up chest and head filled with a tide of ideas of what to cook for the next meal? Sorry for the rude awakening, but most of us don't have any time to prepare the ingredients, let alone cook? Don't be annoyed though, because I know a remedy, at least, sort of. 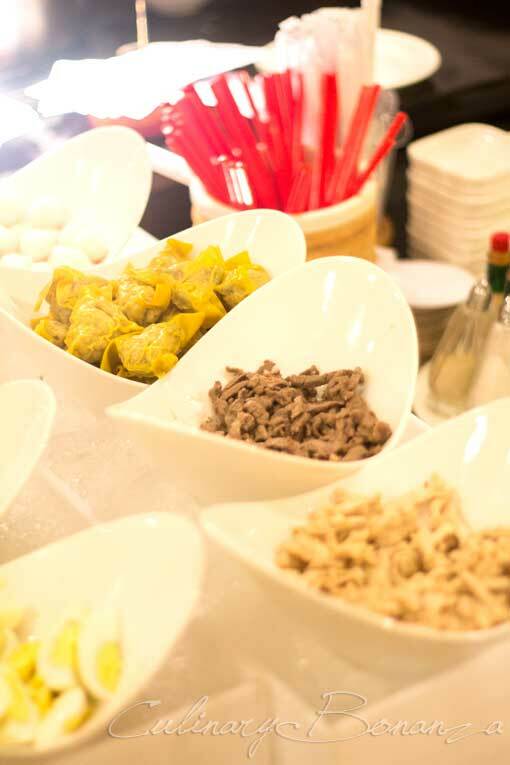 Try heading down to Deli at Intercontinental Jakarta Mid Plaza for lunch today and you can create your own version of Asian Noodles. 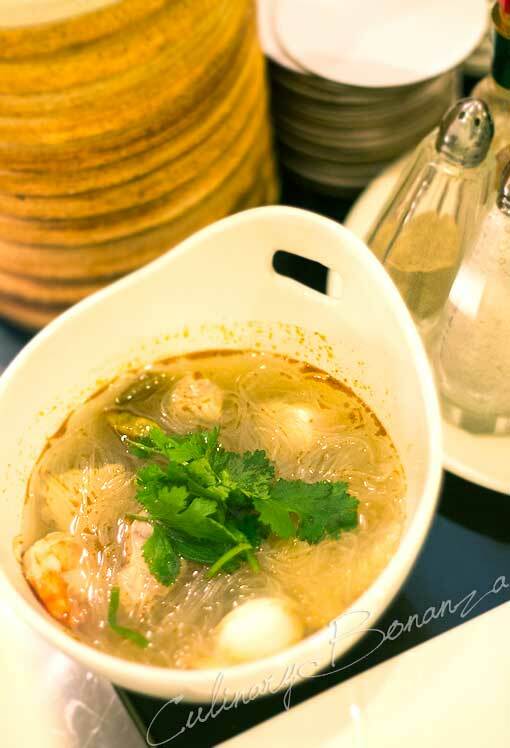 Depending on the days, there are different type of noodles and toppings served, such as ramen, laksa, glass noodles, etc. With the unlimited permutation of noodles, toppings and sauces that you can put in your bowl, any noodle lovers will go crazy and whacky here! Just advice the chef on the spot and he/she will prepare it for you. 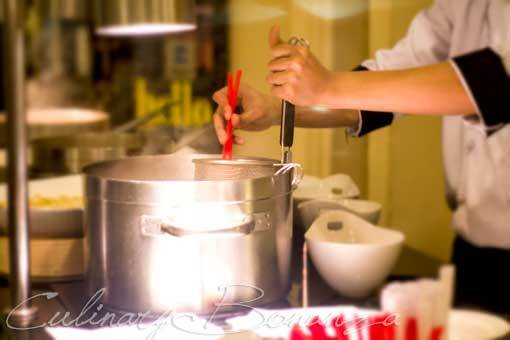 Something to note, you have to know exactly what you want, especially if you are a picky eater, because the chefs, talented as they are, can't possibly guess what you like and create a bowl of noodles that somehow miraculously hit your 'Happy' button. The absence of place cards to indicate the names of each items might be challenging to some especially to those who never cooked in their lives, but the helpful chef will always be there to assist. If you're lazy to think, just let the chef help you, or just stick with the classics. I tried to create two types of noodles: Tom Yum with glass noodles and Mee Goreng-like dry noodles. The noodles and toppings were right, but they're missing the most important punch: the seasoning. Somehow, the flavour couldn't get right despite my desperate attempt to add stronger seasonings and sauces at the table. 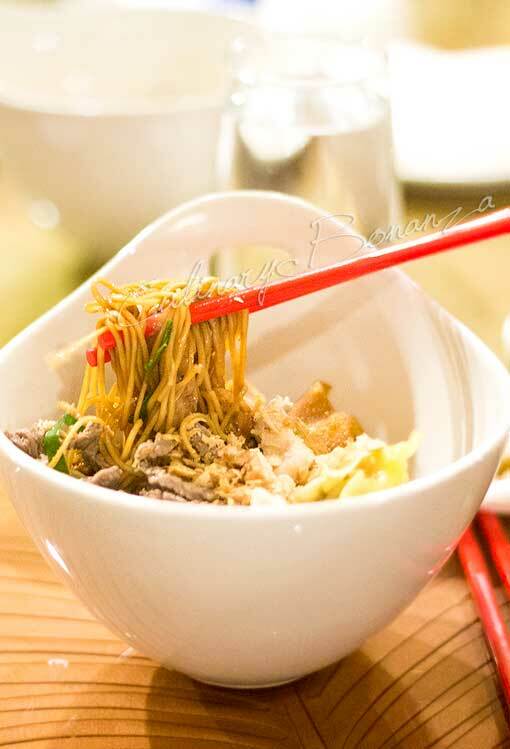 The New Asian Noodles at Deli is priced at IDR 77,000 nett, inclusive free-flow iced/hot tea or iced/hot lemon tea. This promo is only available during lunch. If you're not really into Asian noodles, a few steps away from Deli is Bacchus Bar, which serves "your own pasta creation", also only during lunch. So, shall we have pasta or Asian noodles for lunch today?